NOW IN COLOR, or Black and White! 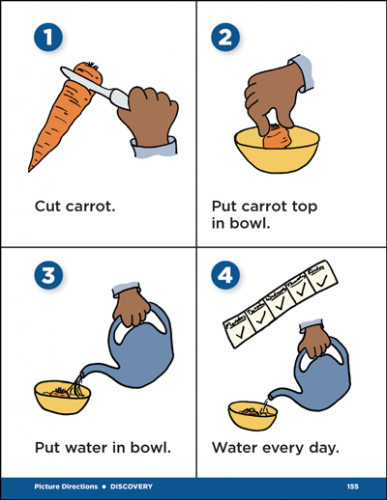 Teaches students to follow picture directions in sequence, complete activities independently and to recognize sight words paired with illustrations. The goal of this book is to teach students to follow picture directions in sequence, complete important activities independently and recognize sight words paired with the illustrations. 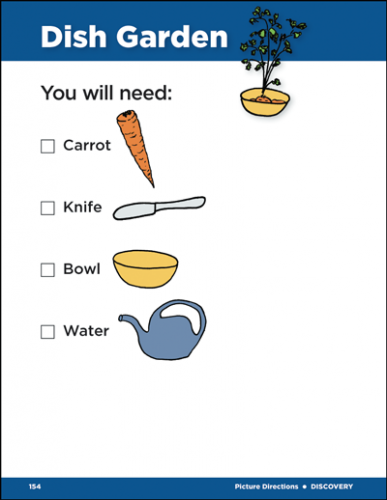 Each lesson features an illustrated "You will need" checklist plus step-by-step instructions—four to a page. Teacher Tips help you plan your instructional strategies. Choose either a Color or Black and White version. Both books include a PDF on CD with a Classroom License for printouts. The color book adds detail and enhances student appeal, while the black and white version is easier to photocopy, doesn't require color printer ink for printouts and it costs less. Includes a PDF on a Win/Mac CD with a Classroom License for printouts. Covered spiralbound book, 228 pages, color edition in 2011. By Pat Crissey, an experienced special education teacher and autism consultant and author of Getting the Message.